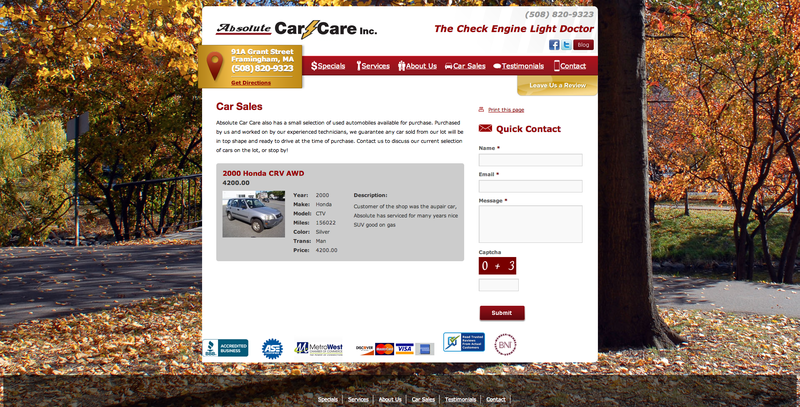 The Absolute Car Care project shows how Gordon Multimedia can meet your companies needs. 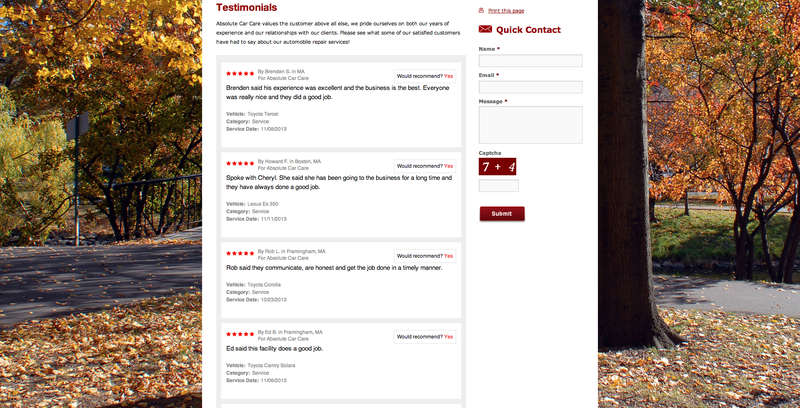 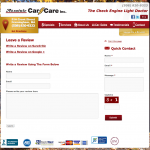 This customer opted for our Gold Hosting package which gives them included service hours with their site’s hosting. 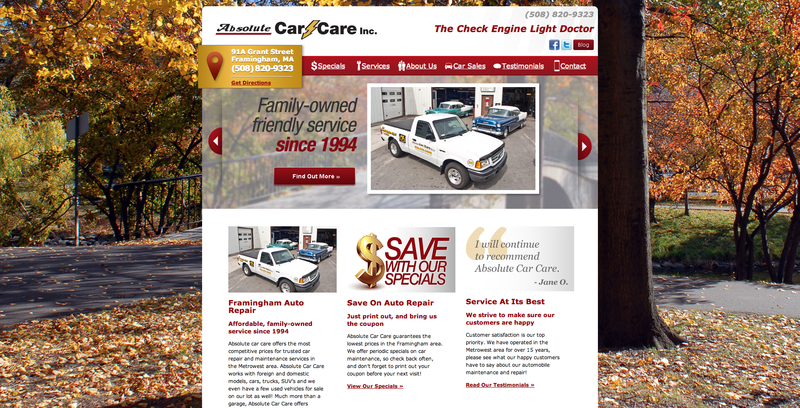 We can use these hours to add content, review search engine statistics and add features, or in this case, change your website background to match the seasons. 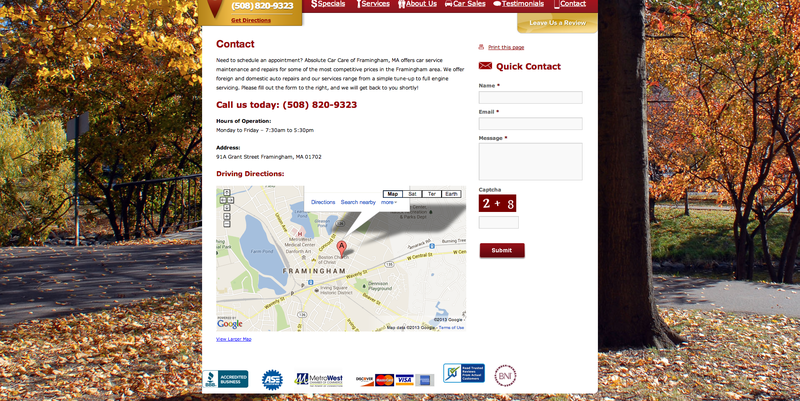 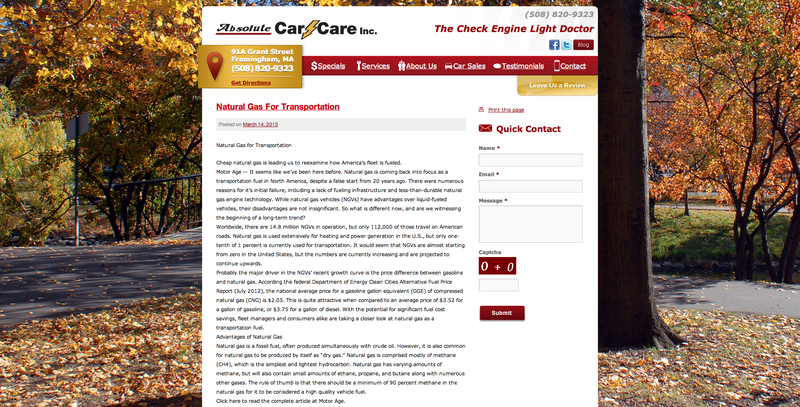 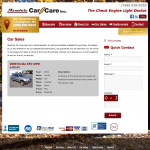 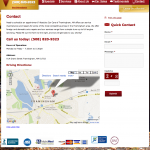 Visit this Framingham Auto Mechanic website.